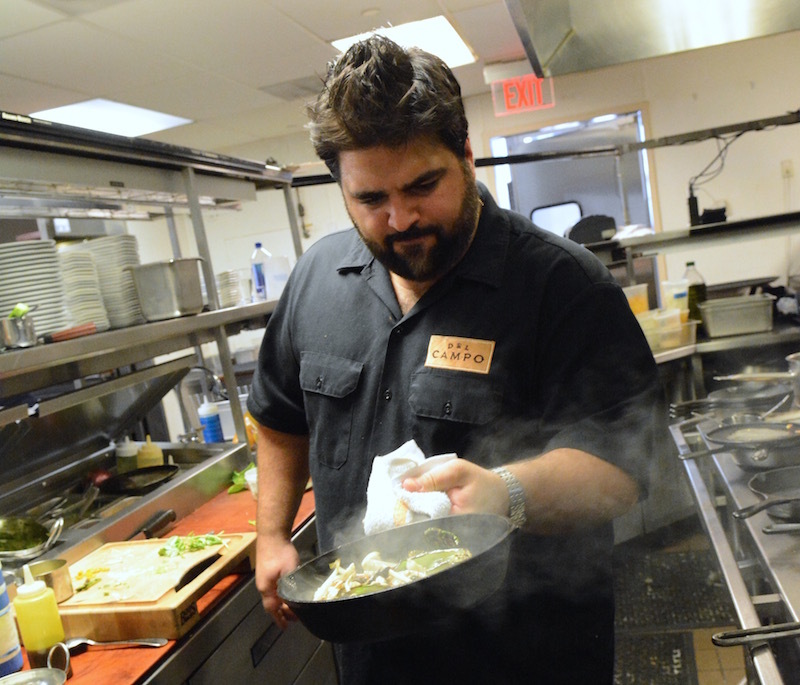 Washington, D.C., chef Victor Albisu has accumulated many accolades since opening the doors to Del Campo in 2013, including having his eatery named a Best New Restaurant 2013 by Esquire, besting Bobby Flay on the Food Network’s Beat Bobby Flay, and being named Chef of the Year at the 2015 RAMMYS. Go behind the scenes with dining scribe Nevin Martell and photographer Laura Hayes for a delicious look at one of the capital’s hottest — in more ways than one — restaurants. Victor Albisu has always loved fire. Growing up outside the nation’s capitol in Falls Church, Virginia, he and his Cuban grandfather, Paco, would grill in the dead of winter on a small Weber in the family’s backyard. They kept a cutting board and a knife next to their modest setup so they could slice off pieces of meat as it sizzled over the flames. If they were feeling particularly inspired during warmer months when the ground thawed, they would dig a pit to cook whole pigs or the deer his grandfather hunted. Albisu got his first taste of kitchen life as a teenager by working at his Peruvian mother’s Latin market and butcher shop. “That’s when I started to fall for char,” he says. His passion for cooking kindled, he attended Le Cordon Bleu Paris, followed by a stint at the acclaimed L’Arpege. Returning stateside, he began ascending through the Washington, D.C. dining scene with increasingly statured positions at the Tabard Inn, DC Coast, Ceiba, Marcel’s, Ardeo + Bardeo, before he was appointed the executive chef of BLT Steak. There he began to earn attention, awards, and acclaim. Not only did the First Couple dine at the restaurant, but Michelle Obama became a regular. 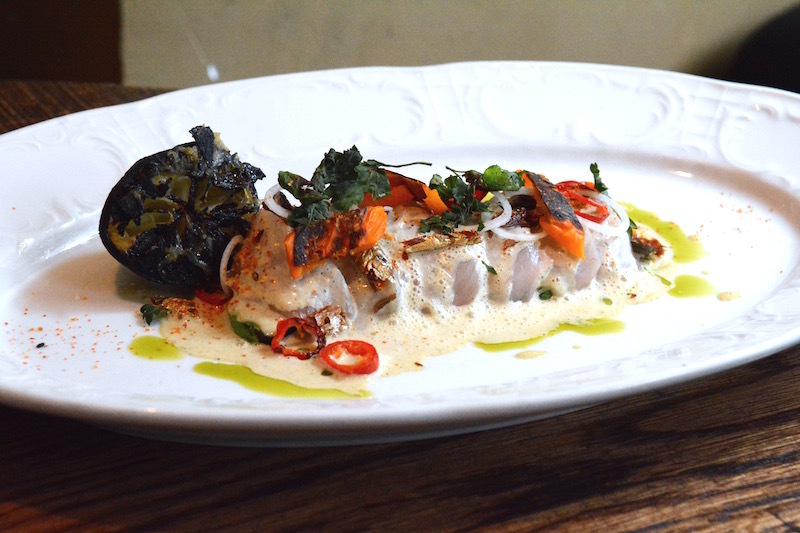 His specials began showcasing Latin elements, even as he explored Spanish culinary traditions during his travels. 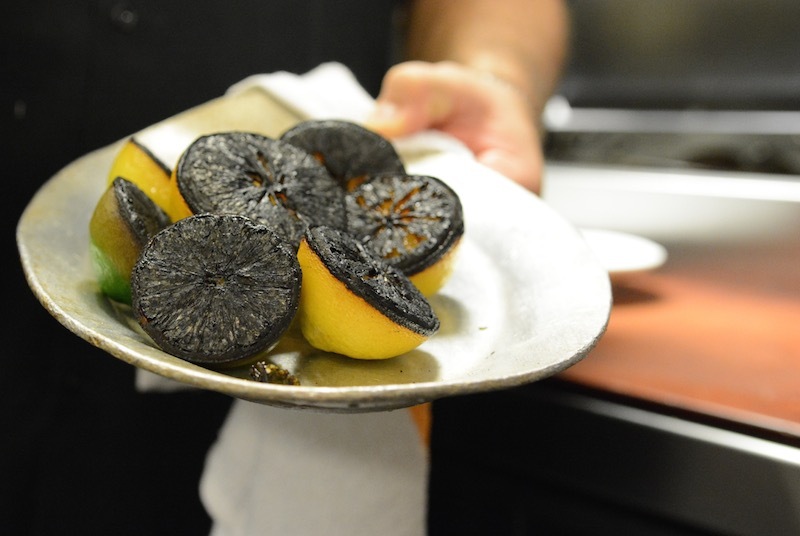 A meal at Asador Etxebarri in Basque country opened his palate to the possibilities presented by cooking with fire in its many forms – grilling, charbroiling, smoking, charring, and torching. 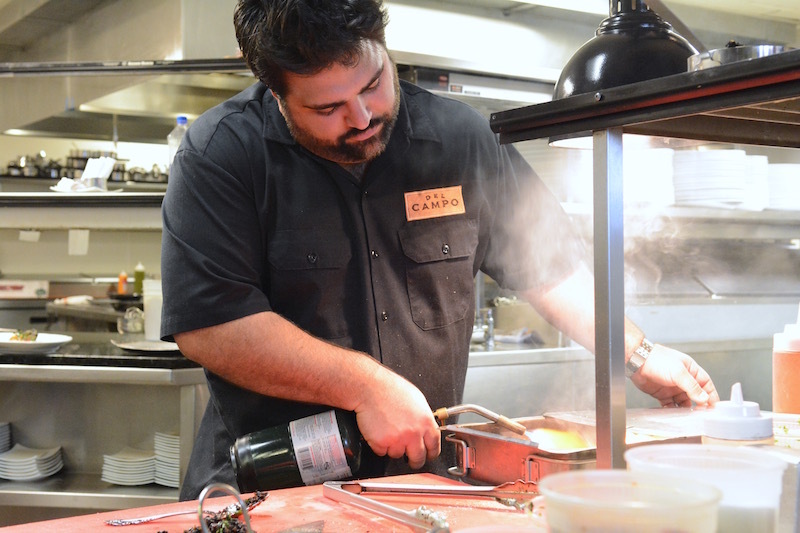 He combined those techniques with the idea of a South American grill to create the concept for Del Campo, which he opened in D.C.’s Penn Quarter in the spring of 2013. 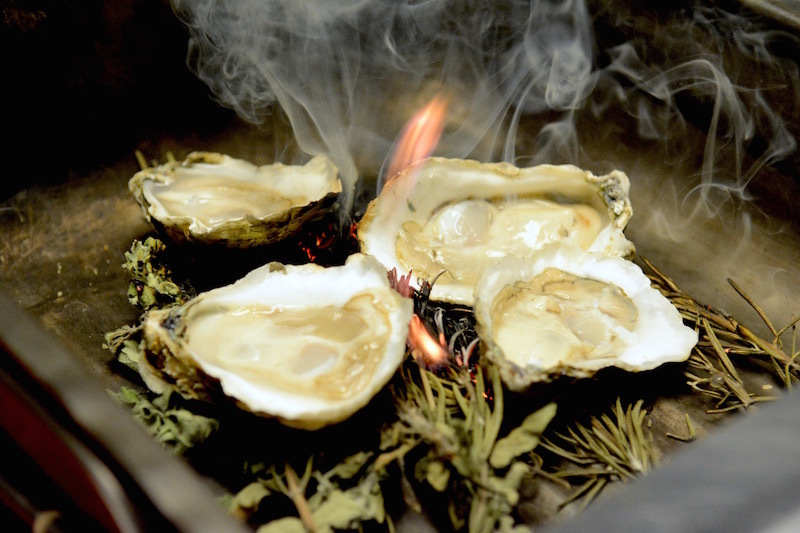 He smokes oysters by igniting a bed of thyme, rosemary, and oregano, and then combines their juices with lemon juice and crème frâiche to create the dressing that is spooned over slender cut slices of fish. Grilled avocado slices, gold-skinned bits of dry sautéed mackerel, and flash seared pickled Calabrian chilies finish the dish. So, he leaves the skin on the raw beets he slices to accompany larger pieces of blackened beets. The yolk yellow and deep purple pieces are crowned with burned pickled spring onions, arugula, pistachios, and punchy chunks of blue cheese. 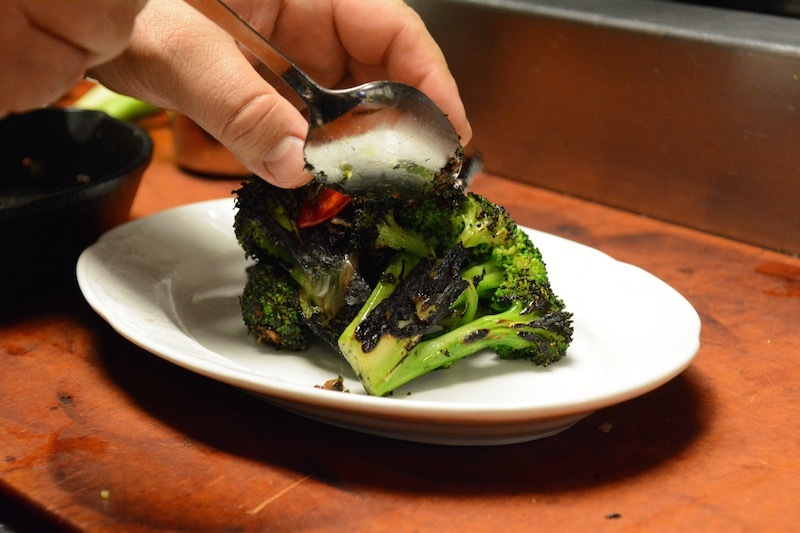 It all sits on a layer of hand-chopped charred onion balsamic jam that has a sweet burnt flavor, unlike anything you’ve ever eaten before. While that’s searing on the gas grill, he rubs a prime dry-aged ribeye from Creekstone Farms with smoked butter, then showers it with salt and pepper. The well-marbled meat gets tossed on the grate alongside the bavette and rotated halfway through to create a crosshatch of char lines. Both go into the Montegue broiler for a few minutes to cook to temp. 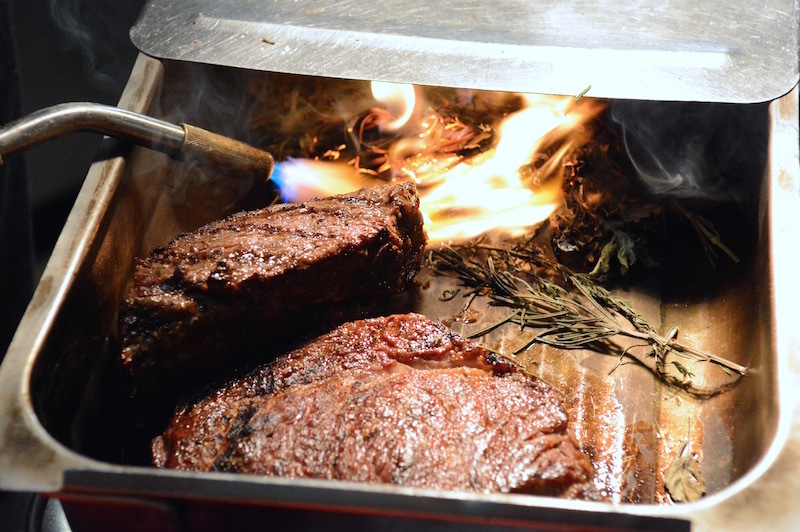 But it’s the final step that gives the meat what Albisu calls “the Del Campo flavor.” Taken off the blaze, the steaks rest inside a smoker box with torched thyme, rosemary, and oregano. 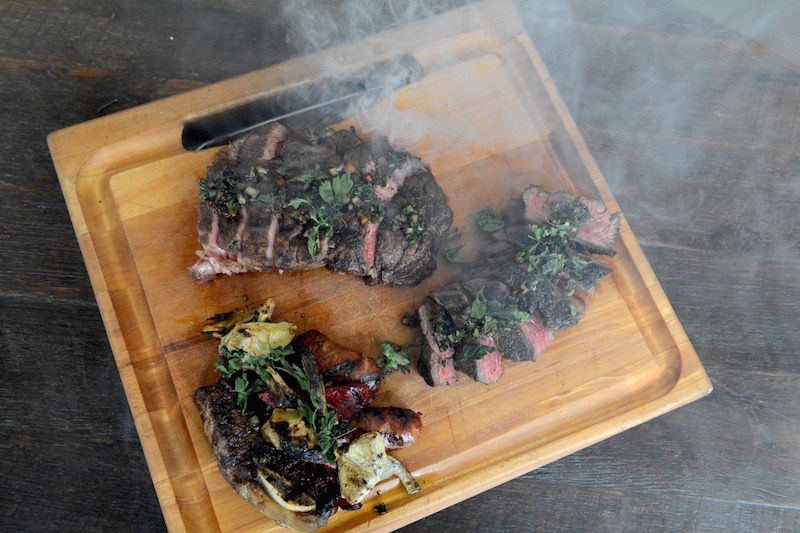 They impart a smoky sensibility without overwhelming the beef’s natural flavor. 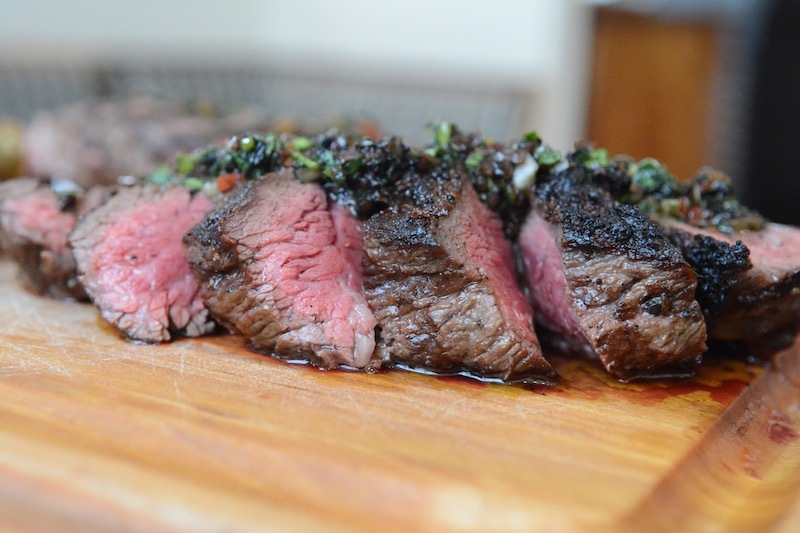 Sliced and arrayed on a platter boasting a tray where more of the same herbs smolder, the bavette and ribeye are whisked out to dining room leaving a beguiling haze in its wake. 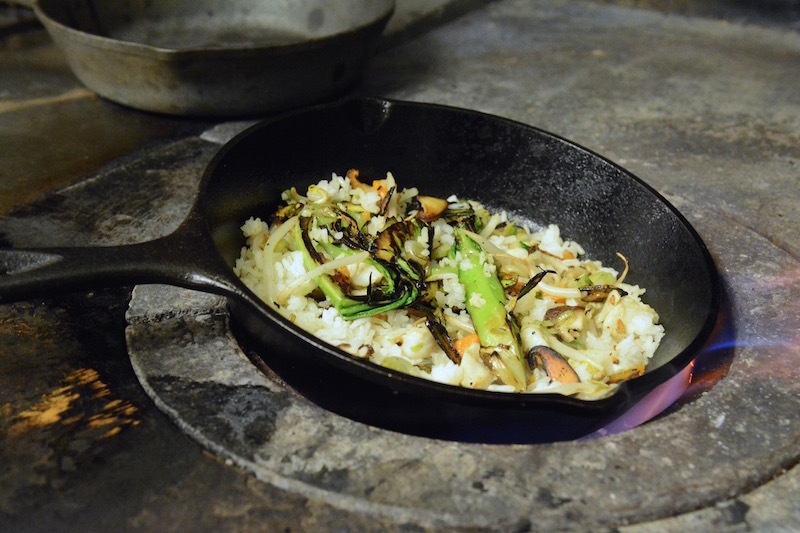 For guests, it’s a visceral reminder of the role of fire in the enlightening flavors of Victor Albisu’s flame-kissed food. 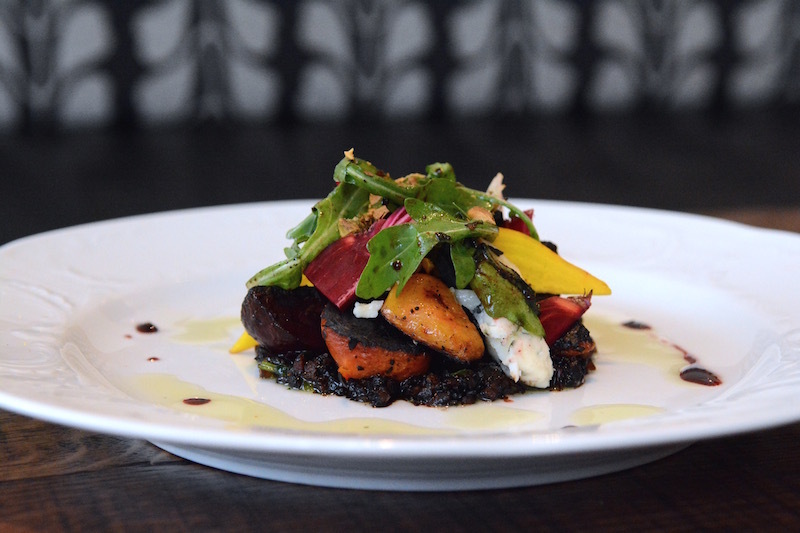 Make a reservation to sample chef Victor Albisu’s fiery food at Del Campo – and then share your experiences with us here or over on Facebook, G+, Instagram, Pinterest, or Twitter.